Million of years ago, the Persian Gulf was a much larger body of water than it is today, inundating large sections of the Arabian peninsula in the south and Iran in the west. As the water evaporated and the shores of the sea retreated, it left behind vast quantities of salt. 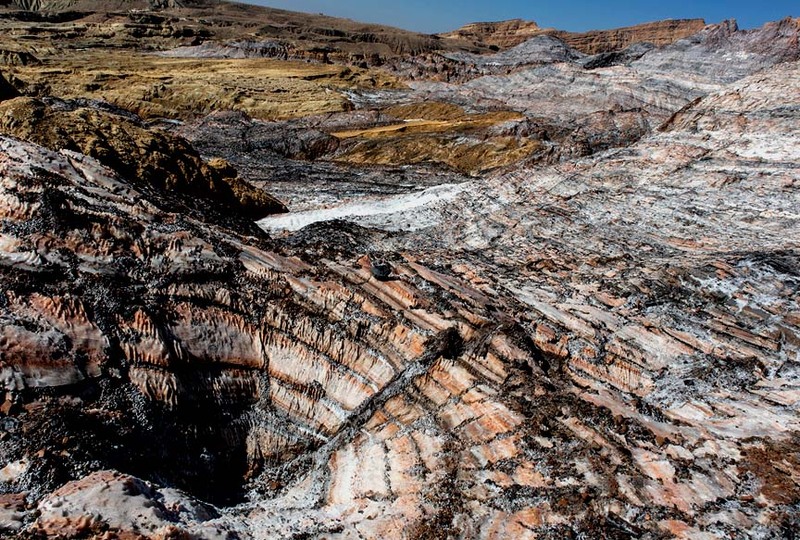 The layer of salt became covered with sediments washed down from the mountains by rainwater, and over time, the sediment layer thickened, became compact and weighed down heavily on the salt layer underneath. Under such circumstances, salt starts to behave like fluid leading to an interesting behavior known as salt tectonics. The weight of thousands of feet of sediments and rocks pushing down on the salt layer causes salt to rise up through the overlying rocks. When a weak spot is found in the overlying layer of sediment, the salt will push through it and form domes known as diapir. Sometimes a diapir will breach the surface and spread horizontally becoming a salt glacier. All of these incredible salt formations can be seen in the south, southwest, and central areas of Iran. The best examples are found in the Zagros mountains that run parallel to Iran’s coast on the Persian Gulf. 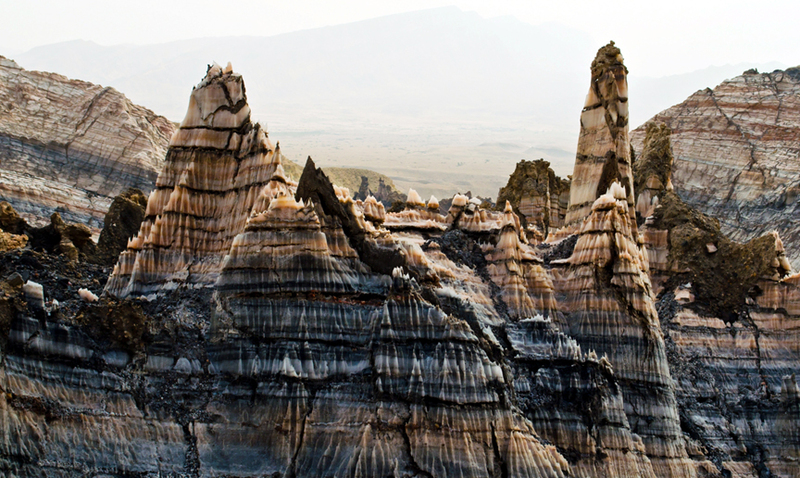 The Zagros mountains formed when the Arabian Plate collided with the Eurasian Plate leaving lots of ridges and faults for salt diapirs to form. 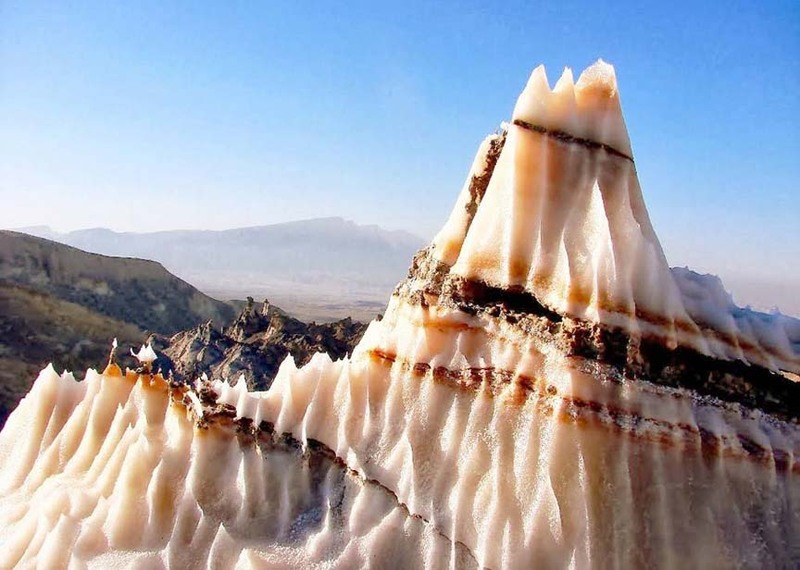 In the southern part of the Zagros Mountains alone, there are more than 130 salt domes which affected the structure of Zagros Mountains as one of the most significant simple folded systems in the world. 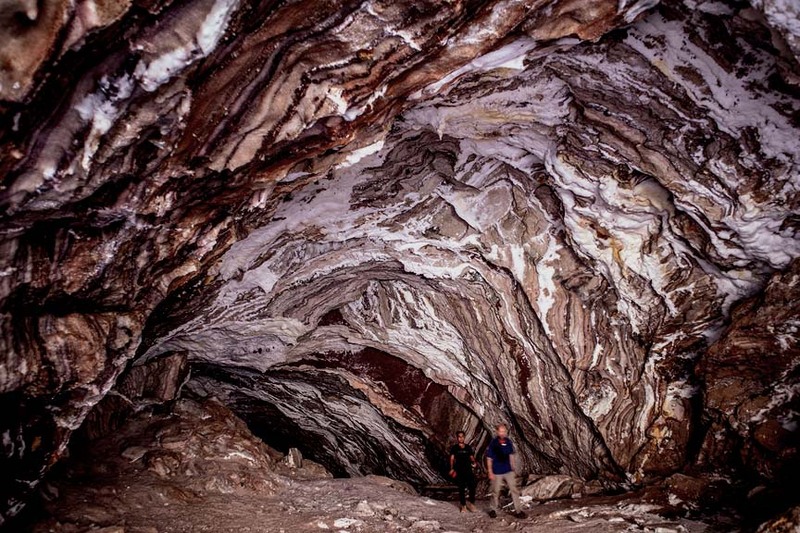 Aside from salt domes, there are salt caves including the longest salt cave in the world at over 6.4 km in the Namakdan Mountain, salt glaciers, salt valleys, karst sinkholes, and salt springs. 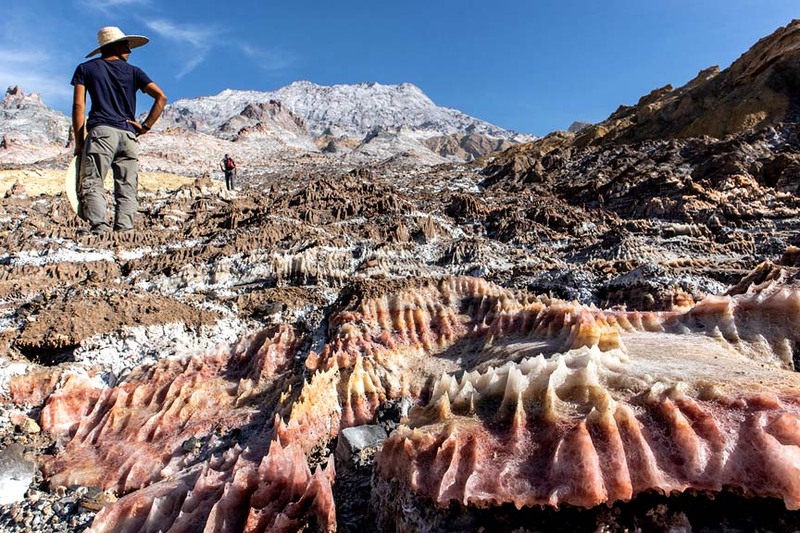 Iran’s salt domes might be at risk from future oil exploration, as the impermeable rocks found in salt domes frequently traps petroleum beneath other rock layers. Salt domes in other regions, such as in the United States, Mexico, the North Sea, Germany, and Romania are already significant source of petroleum and have been tapped for many years now. You just keep right on educatin us Bruce.